Prominent & Leading Manufacturer from Coimbatore, we offer post forming machine. 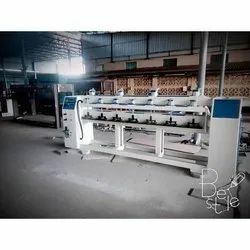 Post Forming Machine is widely used to shape laminates as per the underlying surface and their electrically heated pressing beam helps further curing of semi-cooked laminates for joint-less edges. Return to original working state after affixing; A working cycle is finished.